The Lilla Rogers “Make Art That Sells” Bootcamp started in February but I joined a few days towards the end of that month so I didn’t get long to work on the assignment. They set a theme for members to doodle and come up with icons and this was ‘cuckoo clocks’ – later on they give it’s usage and this assignment was for an iPhone case. 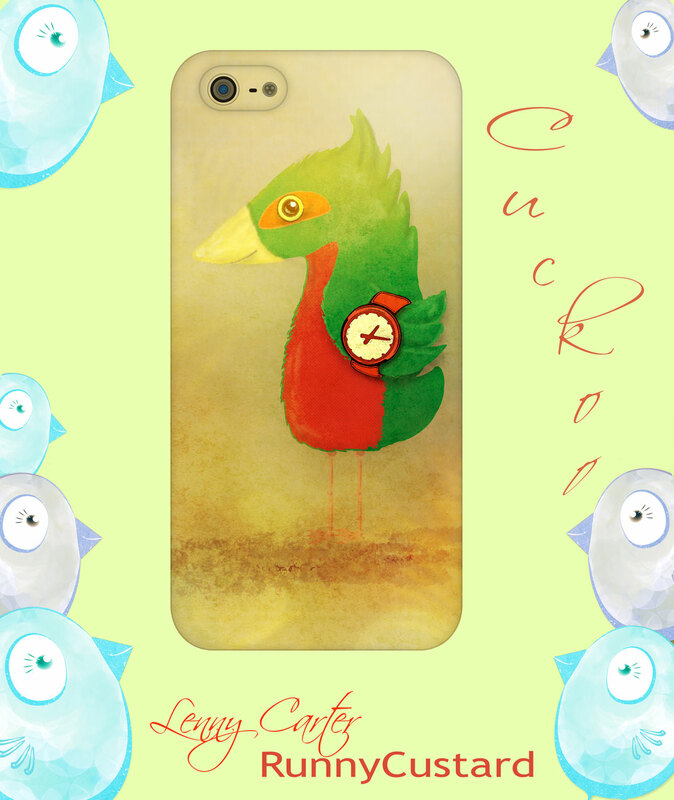 I entered this one in for the deadline but I really hadn’t finished the watch wearing cuckoo bird… oh well. This was another idea that I didn’t get time to finish… it has elements that were a collection of ideas and then I rushed it… as the design changed those elements then didn’t make sense but that’s what happens when you sign up with the deadline a couple of days away. I think I like the little birds who are coming into the mockup more than the other elements. I’ve mentioned more in the other post on this blog about the bootcamp. Here’s a link if you are interested in classes – the Bootcamp is just one option – they have two other courses to join and are more advanced. click to visit Lilla Roger School. Previous PostPrevious Buy Handmade This Christmas 2013! Next PostNext Off to Bootcamp hoorah!